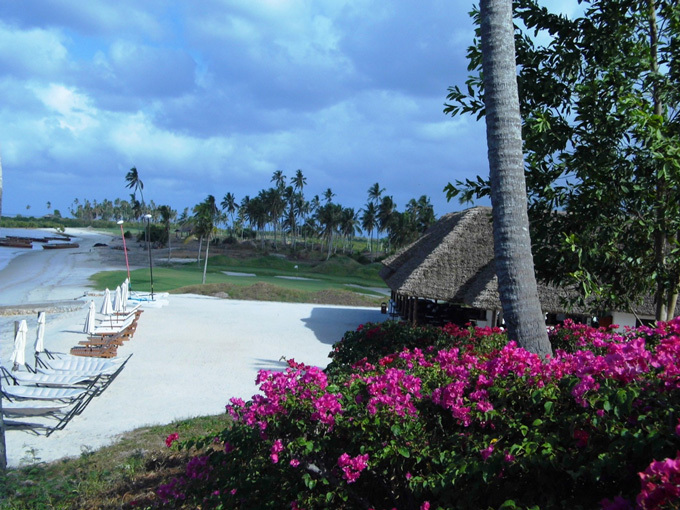 Possibly one of most desirable locations in the world – right on our beach with views over the Indian Ocean. Our menu offers a wide variety of meals and snacks incorporating fresh produce from the Island, open from 7am to 7pm. Enjoy a drink at our well stocked bar 30 yards from the high water mark looking across a pristine white beach. Our Pro Shop carries a range of men’s and ladies’ clothing, balls, gloves, tees and everything else you might need for your round of golf plus the latest golf carts and pull trollies available for hire. We have top of the range clubs for hire as well as beginner sets for those who want to try out our course. Our friendly staff will be on hand to serve you.